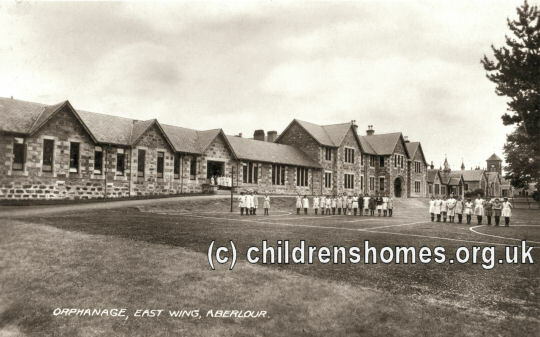 The Aberlour Orphanage was established in 1875 at Charlestown of Aberlour, Strathspey. Its owed its existence to Miss Macpherson Grant of Aberlour who promised to fund the construction of the home, complete with its own school, church and rectory, if the Rev. Canon Charles Jupp — a man with a particular interest in the care of orphaned and abandoned children — would agree to become her personal chaplain. 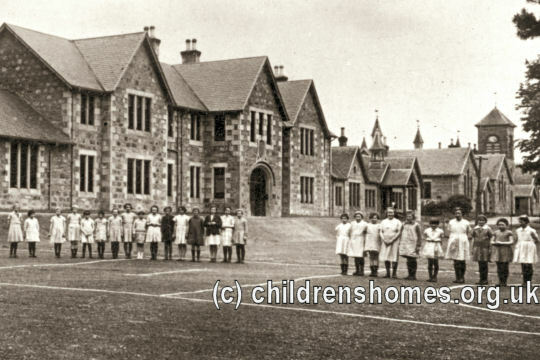 The Orphanage's first premises were at Burnside Cottage, formerly a Dame's School run by a Miss Menzies. Here, on March 4th 1875, four 'mitherless bairns' were given a home. Construction of the permanent premises was initiated beginning with the church, which was designed by Alexander Ross and dedicated to St Margaret. However, the project received a setback when Miss Macpherson suddenly died in 1877. In 1882, the future of the Orphanage was secured following a legacy of £8,000 from Mr W Grant of Wester Elchies. 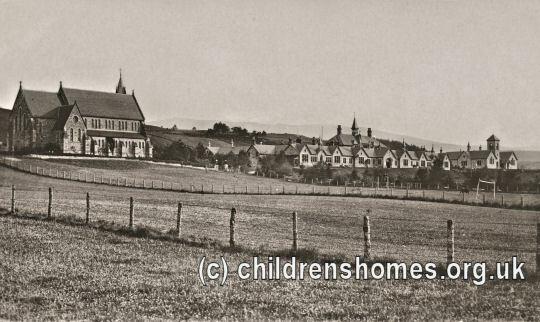 The gift enabled the church to be completed and an enlarged scheme for the Orphanage to be undertaken at Campbell's Park, Aberlour. 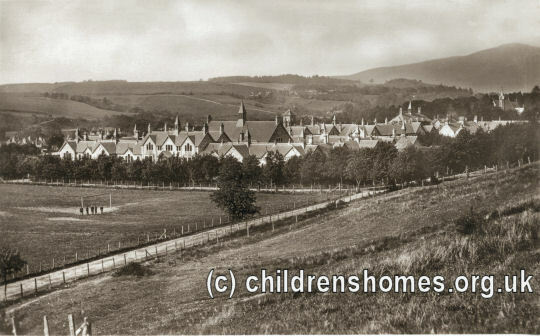 Aberlour Orphanage site, Strathspey, c.1902. The main Orphanage building comprised a boys' wing at the west and a girls' wing at the east, with a school block at the centre. The accommodation was gradually extended and other facilities added including an infirmary, laundry, nurseries, farm, and a swimming pool. 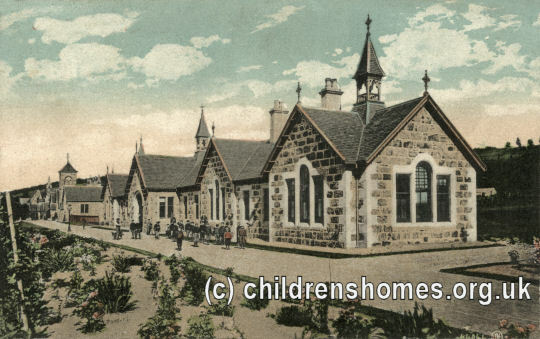 The number of inmates eventually rose to around 600, making Aberlour one of the largest children's establishments in Scotland, second on to the Quarrier's Homes. 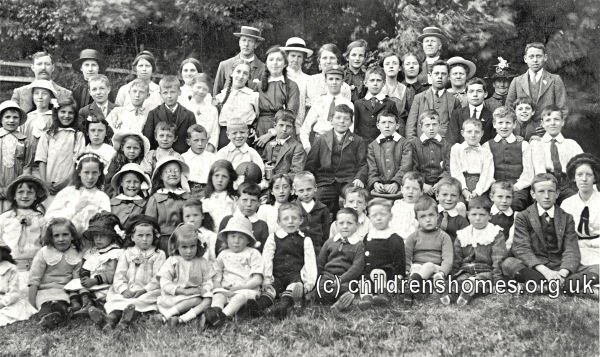 The Orphanage took orphans and destitute children of any age and from England and Wales as well as Scotland. Although it was originally intended to restrict admission just to children from Episcopalian families, it broadened its intake to all religious denominations. Depending on the circumstances of each case, a payment could be required or free admission could be granted. Girls were primarily trained for employment in domestic service or other useful employment, and boys 'for whatever suited'. Children with scholastic ability could be put forward for higher education. Otherwise, those leaving the home were found work with employers who had been vetted and their progress recorded. The Rev. Jupp, as well as being Warden of the home, was the charity's Treasurer. He was a tireless fund-raiser and was affectionately known as the 'Beggar of the North', travelling far and wide to preach and appeal for support for the orphanage. In 1885, he began holding an annual jumble sale in the village. Jupp's Sales, as they became known, attracted shoppers from across the north of Scotland and raised thousands of pounds for the Orphanage. Despite his efforts, the institution was £3,000 in debt in 1890, leading to collections being taken in all the churches in Scotland and a theatrical entertainment organised in London by the Duke of Newcastle. After Jupp's death in 1911, his successor, the Rev. Walter Jenks, decreed that the recently completed boys' wing of the Orphanage should be named in Jupp's memory. In 1928, the Rev. Clarence Albert Wolfe (affectionately known as 'Wolfie') took over as Warden. The Orphanage received a visit from King Edward VII on September 23rd, 1907, and another from King George V and Queen Mary on August 21st, 1922. Up until 1935, children at the home had an annual outing to the seaside at Lossiemouth. A children's holiday home was then established in a property further along the coast at Hopeman. Over the years, there were several major fires at the Orphanage On Saturday June 13th, 1931, almost all of the east block was destroyed, with the cost of the damage estimated at around £20,000. The children were all out at the time and there were no casualties. On September 4th, 1937, again a Saturday, practically the whole of the west block was destroyed in a blaze of similar proportions which left 200 boys taking up temporary residence in the school rooms. Following a major fund-raising campaign, the boys' wing was rebuilt and re-opened in 1939 at a cost of £30,000. Following the closure of the Orphanage, the buildings were demolished except for the church which has recently been renovated. In 2002, a community memorial garden was established on the site of the Orphanage, incorporating the its old clock tower. Heatherbank Museum of Social Work (now part of Glasgow Calenonian University's Research Collections), Saltire Centre, Glasgow Caledonian University, Cowcaddens Road, Glasgow G4 0BA. Holds a variety of administrative (but not personal) records and other material from the Aberlour Orphanage c.1905-1974. This Is Your Life episode featuring 'Wolfie'. This Week episode featuring Aberlour Orphanage.